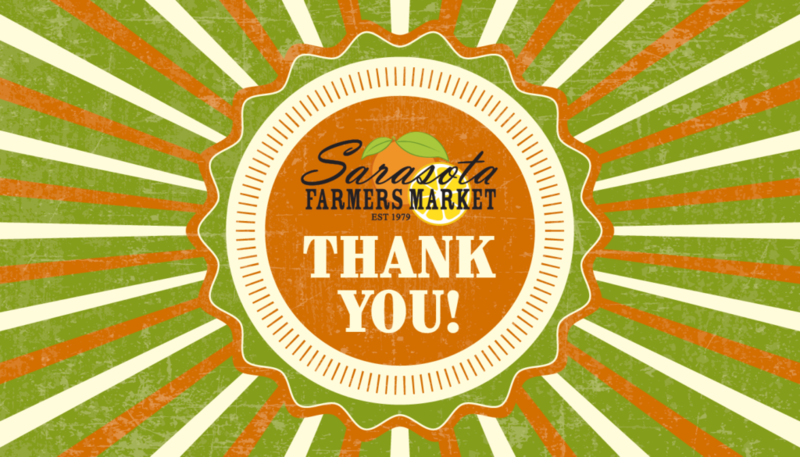 Thank you so much to all who supported the Sarasota Farmers Market in the 2018 Giving Challenge. Thanks to our customers, vendors and community, and the generous match provided by the Patterson Foundation, we raised just over $6,000 for our 501c3 non-profit organization. These funds will be used for safety at the market such as police and crossing guards, and will also help with some of our community programs. Stay tuned for some exciting updates thanks to this support! Special thanks to the Community Foundation of Sarasota County for hosting the 2018 Giving Challenge, and Chef Paul Mattison at Mattison’s City Grille for hosting our Farmer’s Market Trivia night!